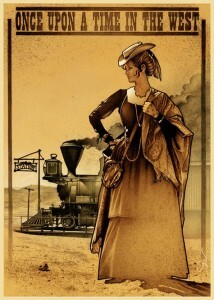 It may have had aspirations, but it’s not really in the league of the great westerns, despite the claims on the posters. 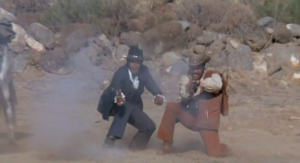 This features another of Jim Brown’s forays into Mexico (see, for example, 100 Rifles and Rio Conchos), this time in a merger of two genres from the early 1970s: blaxploitation movies and spaghetti westerns. 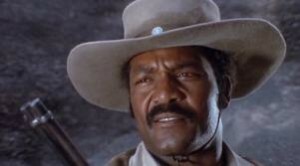 Jim Brown plays Pike, trail boss for cattleman Morgan (Dana Andrews) in this late spaghetti western. Pike is also a reformed wanted man in improbable red pants (they must have been a 1970s thing–see Clint Eastwood in Joe Kidd). He’s trying to take $86,000 into Mexico in fulfillment of a promise to Morgan, who dies early on. 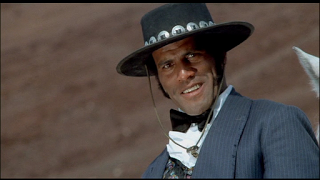 His unwilling accomplice in this task is Tyree (Fred Williamson), a black gambler and gunfighter, along with a tongueless black Indian named Kashtok (Jim Kelly of Enter the Dragon; he keeps being referred to as an Indian, although he looks completely black) with mysterious martial arts moves, and, for a while, Catherine Spaak as Catherine, a former New Orleans prostitute whose husband is killed by nasty outlaws before she is rescued by Pike and Tyree. 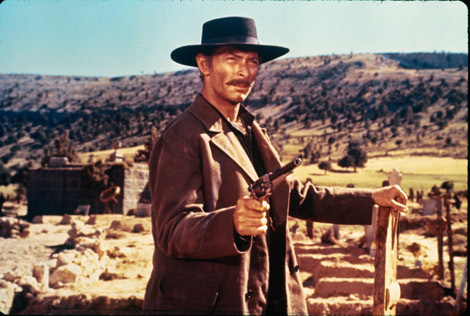 (Unaccountable accents in westerns are frequently attributed to New Orleans origins–see, for example, The Magnificent Seven [Yul Brynner] and North to Alaska [Capucine].) There seems to be some sort of connection between Catherine and Kashtok, but we don’t know how or why. 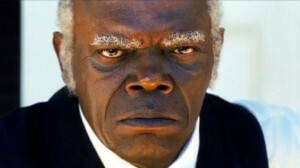 Pike, Tyree et al. 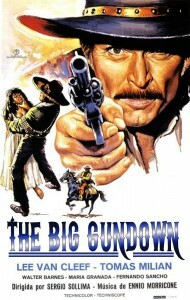 are pursued by a legion of bounty hunters and robbers led (more or less) by harmonica-playing Kiefer (Lee Van Cleef). 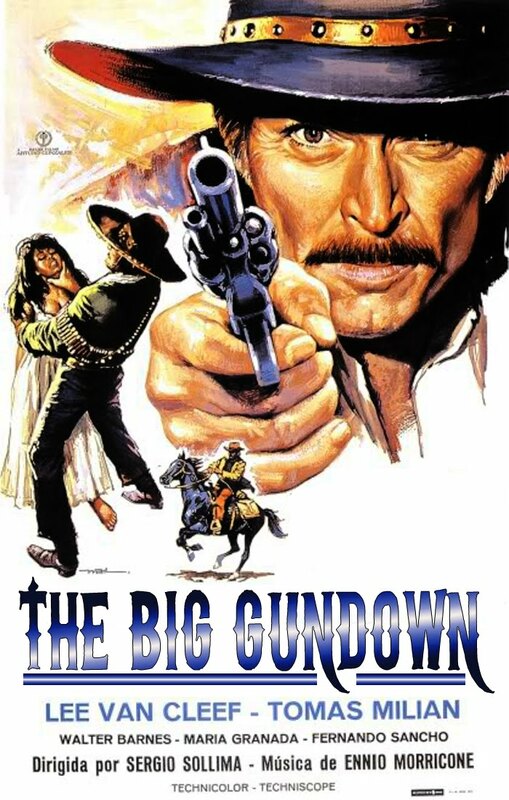 They include Barry Sullivan as Vane, a former lawman, and Dumper (Harry Carey, Jr.), a corrupt Bible-thumper and his assistant with a gatling gun, a bunch of venal and untrustworthy robbers and a troop of conscienceless Mexican bandits. In the end, everything is blown up, Kiefer is shot in the back by Dumper before Dumper dies, and things don’t seem all that resolved. It does appear that Kiefer is only wounded, and the film doesn’t seem to know what to do with him at the end. After spending the entire movie setting up some kind of confrontation between Pike and Kiefer, it doesn’t happen. But plot is not the movie’s strong point; this film is more interested in action than in making sense. Characters seem to be dropped in and out fairly arbitrarily. The movie is watchable but not remarkable. 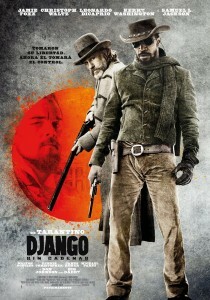 Filmed in Spain and the Canary Islands. Jerry Goldsmith does the music. Director Antonio Margheriti is listed as Anthony M. Dawson in the credits. The previous year (1974) Brown, Williamson and Kelly had appeared together in Three the Hard Way, a modern-era blaxploitation action thriller. This movie was apparently conceived as a genre-jumping follow-up project. 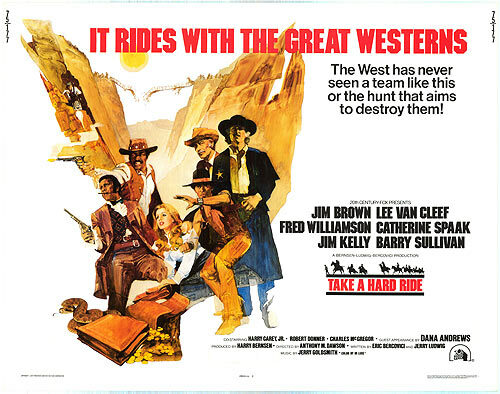 In the western genre, Brown and Van Cleef would reunite in 1977 for Kid Vengeance, which was also released as Take Another Hard Ride. This entry was posted in More Westerns and tagged Adventures in Mexico, Dana Andrews, Jim Brown, Spaghetti Westerns on June 18, 2014 by Nicholas Chennault. 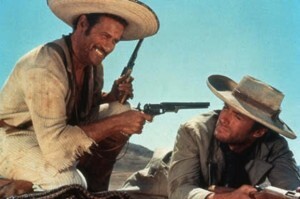 From The Good, the Bad and the Ugly: Tuco (Eli Wallach) is in a bubble bath. The One Armed Man enters the room. 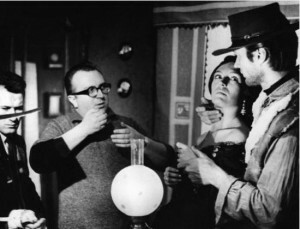 Sergio Leone was born in Rome in 1929 into a cinematic family. His parents were the cinema pioneer Vincenzo Leone (known as director Roberto Roberti or Leone Roberto Roberti) and the silent film actress Edvige Valcarenghi (Bice Waleran). During his school days, one of his friends was Ennio Morricone, his future musical collaborator on films. 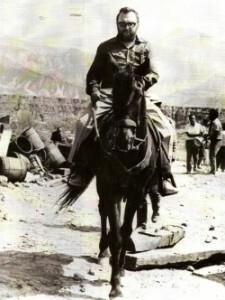 Leone’s parents did not sympathize with the Fascists in power in Italy before and during World War II, and they were effectively exiled to Naples until the war was over. 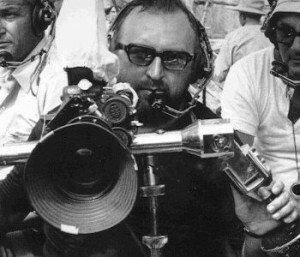 Working in cinematography, Leone began as an assistant to director Vittorio di Sica on the classic The Bicycle Thief in 1948. During the 1950s he started writing on screenplays for the historical “sword and sandal” epics popular at the time, including work on some large-scale films at the famous Cinecittá studios in Rome, such as Quo Vadis (1951) and Ben-Hur (1959). His big break came in 1959, when director Mario Bonnard fell ill during the filming of The Last Days of Pompeii, with Steve Reeves, and Leone was asked to step in and complete the film. When historical epics fell out of favor with the public, Leone turned his attention to inexpensive westerns, with largely Italian casts, filmed mostly in Spain—the so-called spaghetti westerns. He first brought them to international prominence in 1964 with the release of A Fistful of Dollars, starring American television actor Clint Eastwood and based on Akira Kurosawa’s samurai film Yojimbo. 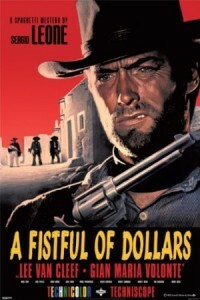 It wasn’t the first spaghetti western, but it was far and away the most successful to date. With progressively larger budgets, it was followed by For a Few Dollars More, with Eastwood and Lee Van Cleef in 1965, and The Good, the Bad and the Ugly, with Eastwood, Van Cleef and Eli Wallach in 1966, completing what came to be referred to as his “Man With No Name” trilogy. There is no continuity of story or character between the three, and sometimes the Eastwood character actually does have a name. Directing the Man With No Name. 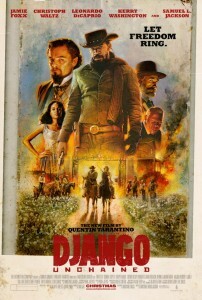 By the conclusion of the trilogy, Leone had started a revolution. He had developed an international market for inexpensively-made Italian westerns and had introduced a vogue for them that lasted a decade. 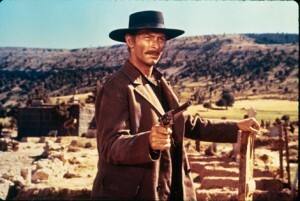 He had made Clint Eastwood a major star, and created another in Lee Van Cleef. 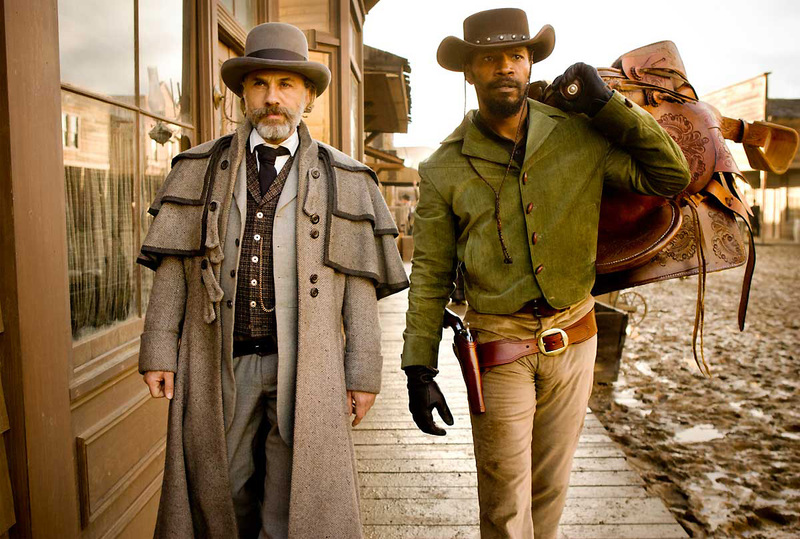 He had introduced a different kind of moral universe in westerns, one less aligned with easily-identifiable good guys and bad guys but with even more violence. 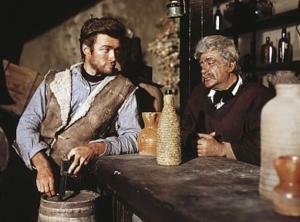 There are those who would say he introduced sweat and dust to westerns, but those had long been there (see Hondo, for example)—just not so prominently and consistently, nor so lovingly captured on film. He prolonged the careers of such actors as Jack Palance and Henry Fonda, who found prominent roles in spaghetti westerns when such roles became scarcer for them in Hollywood. 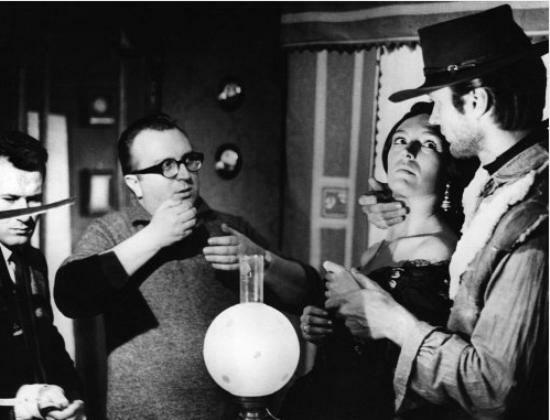 And he was godfather to an entire generation of Italian filmmakers, often while simultaneously fighting with them: Bernardo Bertolucci, Dario Argento, Tonino Valerii, Sergio Corbucci and many others. 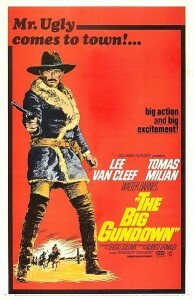 In terms of cinematic style, Leone was revolutionary as well. 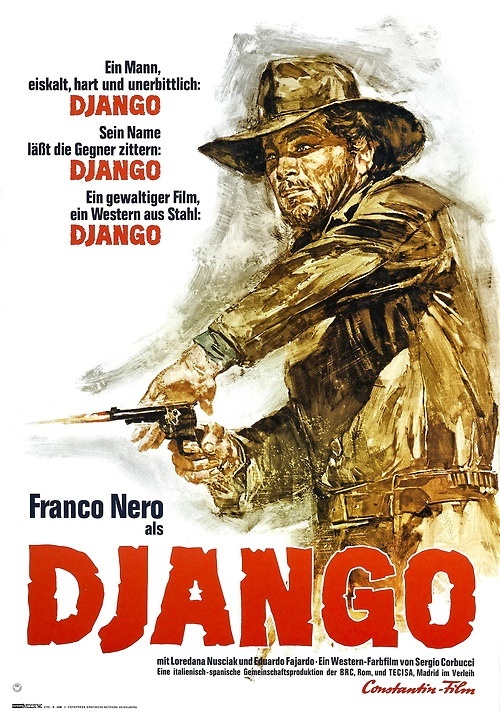 The music for his films, composed by his friend Morricone, brought a new way of thinking about music in films, and not just in westerns, much different from more traditional studio composers like Elmer Bernstein and Dimitri Tiomkin. 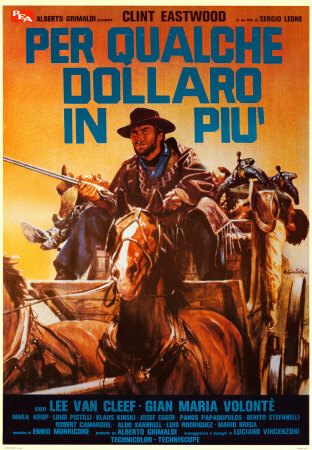 Morricone said that Leone asked him to compose a film’s music before the start of principal photography, contrary to the normal practice. He would then play the music to the actors during takes to enhance their performances. 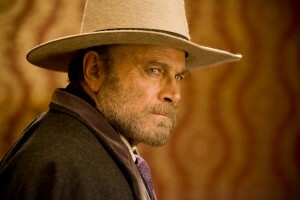 His film-making style was noted for juxtaposing extreme close-ups (often focusing on the eyes, especially if they were blue), with extreme long shots. He was always willing to sacrifice story for effect or mood. His work has been much imitated since. 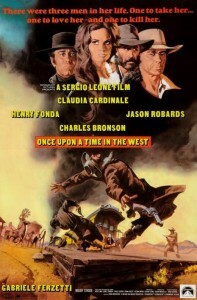 Once Upon a Time ,,, Leone with stars Fonda, Cardinale, Bronson and Robards. Leone’s success with the Man With No Name films enabled him to make what many consider his masterpiece: Once Upon a Time in the West (C’Era una Volta il West), released in 1968. 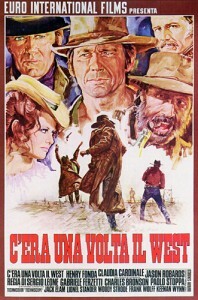 The film, starring Charles Bronson, Henry Fonda, Jason Robards and Claudia Cardinale, was shot mostly in Almería, Spain, and Cinecittá in Rome, with some shooting in Monument Valley, Utah. A bigger budget gave Leone the scope for a long meditation on the mythology of the American west, with many references to previous iconic westerns and with Leone giving his cinematic impulses free rein. 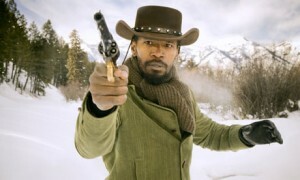 The resulting three-hour epic was ruthlessly edited by Paramount and was not a box office success in the U.S., though the full movie was a huge hit in Europe, especially in France. During the 1970s, Leone went on to direct Duck, You Sucker!, set in the Mexican revolution, although he had intended only to produce it, and he produced the spaghetti western comedy, My Name is Nobody. He turned down an opportunity to direct The Godfather to focus on his own gangster pet project, a four-hour gangster movie titled Once Upon a Time in America, with Robert De Niro (1984). 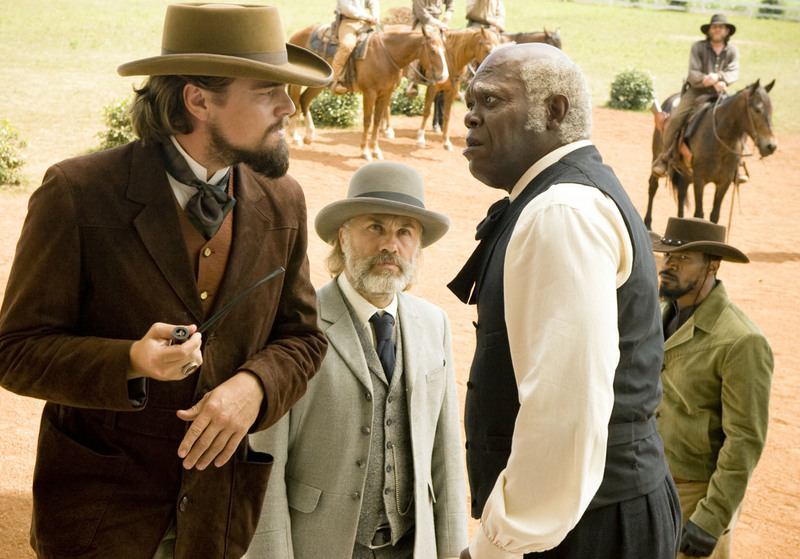 Warner Bros. recut it drastically to two hours for the American market, where it was a flop. It was his last significant work. When the four-hour film was restored and made available, some hailed it as a masterpiece as well. Leone died in 1989 of a heart attack at the age of 60. 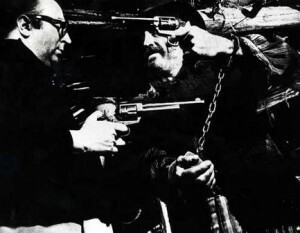 Experimenting with the tools of the trade: Playing guns with Jason Robards, and using the basic form of transportation. 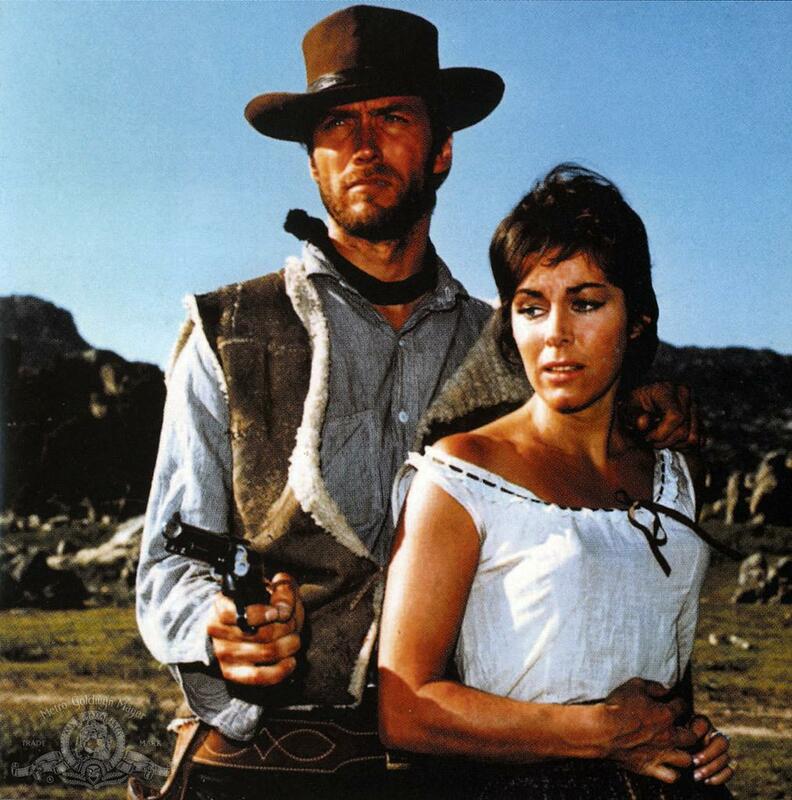 “Ever since I was a small boy I’ve seen a lot of Hollywood Westerns where, if you cut the woman’s role out of the film in a version which is going on in your own head, the film becomes far better.”–Sergio Leone. That explains a lot about the Man With No Name trilogy. “The [John] Ford film I like most of all…is also the least sentimental, The Man Who Shot Liberty Valance… Ford finally, at the age of almost sixty-five, finally understood what pessimism is all about. 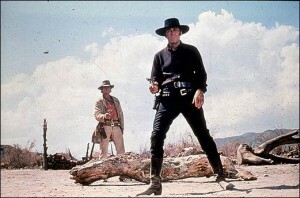 In fact, with that film Ford succeeded in eating up all his previous words about the West… because Liberty Valance shows the conflict between political forces and the single, solitary hero of the West… He loved the West and with that film at last he understood it.”—Sergio Leone, in a very European view. The opening scene from Once Upon a Time in the West: Waiting for the stranger. Second-Rank Leone: Duck, You Sucker! This entry was posted in Directors and Actors and tagged Sergio Leone, Spaghetti Westerns on April 15, 2014 by Nicholas Chennault. Director Sergio Corbucci claims that the idea for spaghetti westerns came when he was working as a second-unit director for his friend director Sergio Leone, filming in Spain on The Last Days of Pompeii (1959). 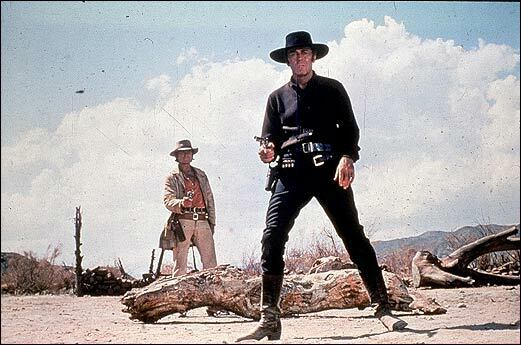 Seeing the landscape of Spain with its wild horses, extraordinary canyons, and semi-desert landscapes which looked a lot like Mexico or Texas, Corbucci suggested making an American Wild West-themed film in Spain. 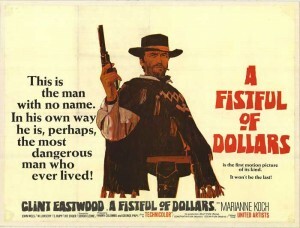 Corbucci then directed his first western in Spain just before Sergio Leone completed the ground-breaking A Fistful of Dollars in 1964. 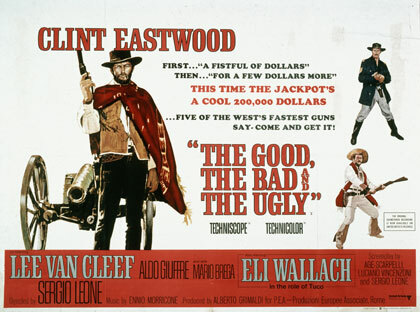 The Wikipedia entry on “Spaghetti Western” lists the first such as The Sheriff in 1959. 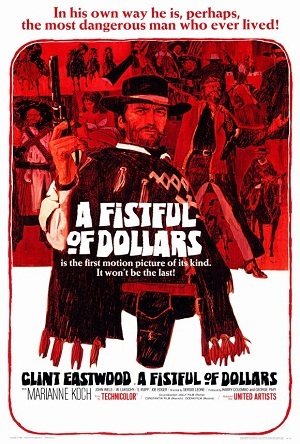 They are generally made with low budgets; but Leone’s third and fourth westerns (The Good, the Bad and the Ugly and Once Upon a Time in the West) clearly show what he could do with a larger budget. There are often lingering close-ups and a fascination with blue eyes. They often feature long shots, with fewer middle-range shots (compared to, say, the westerns of Budd Boetticher, who used mid-range shots a lot). They were most often filmed in Spain and frequently their stories were said to be set in Mexico; perhaps due to the setting or simply to a fondness for grittiness, there was often lots of dust. They featured extended, and not very realistic, violence and brutality. 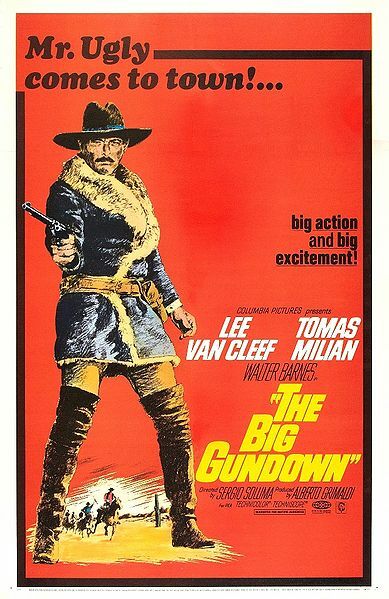 The music was sometimes excellent in a new sort of way (especially that provided by Ennio Morricone for Leone and other films), but it was often disproportionately loud. 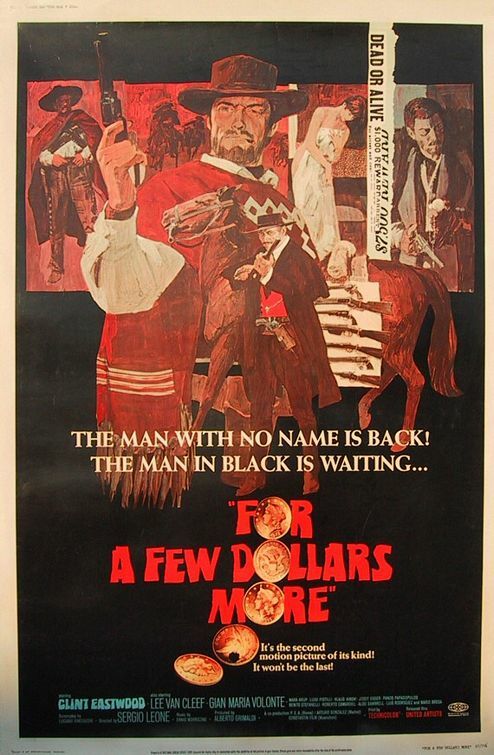 They were made by Italian directors with largely Italian casts, with a light sprinkling of American stars (either up and coming, like Clint Eastwood or Burt Reynolds, or getting to be long in the tooth, like Henry Fonda, Lee Van Cleef or Jack Palance). They were shot without recording the sound, depending on putting the sound in later during post-production. 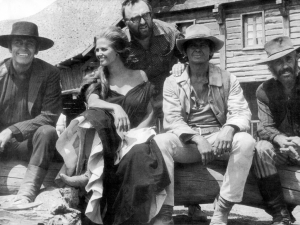 That resulted in a lot of dubbed voices, sometimes by the actual actor on film (Eastwood or Van Cleef), but often not; see, for example, Claudia Cardinale in Once Upon a Time in the West. It could often mean that music or sound effects supposedly provided by someone on the film had the wrong accoustics. There was often a fondness for the freakish, surreal or bizarre–dwarves, hunchbacks, inexplicably maniacal laughter, etc. 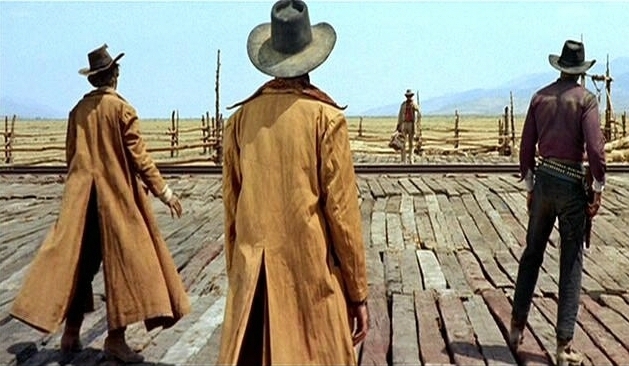 Our consultant for Italian and horror films, Adam Sorensen at Lionsgate Films, has provided one list of the best of the spaghetti westerns. 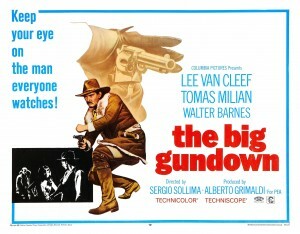 As he says, the list is dominated by the two Sergios: Leone and Corbucci. This entry was posted in Lists and tagged Spaghetti Westerns on November 13, 2013 by Nicholas Chennault.